In nature, atoms of almost all the elements on the periodic table are found in combination with other atoms. When atoms of one element combine wiht atoms of a different element, they form a compound. In an ionic compound, one or more electrons are transferred from the aoms of metals to atoms of nonmetals. 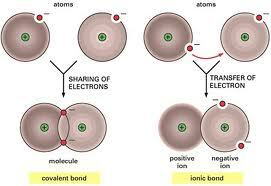 In compounds of non metals, covalent bonding occurs by atoms sharing one or more valence electrons. 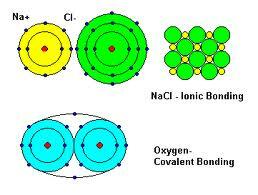 There are many more covalent compounds than there are ionic ones!! !